April 2013 - The original Star Trek television series lasted 79 episodes, but few were as memorable – or hilarious – as "The Trouble with Tribbles." 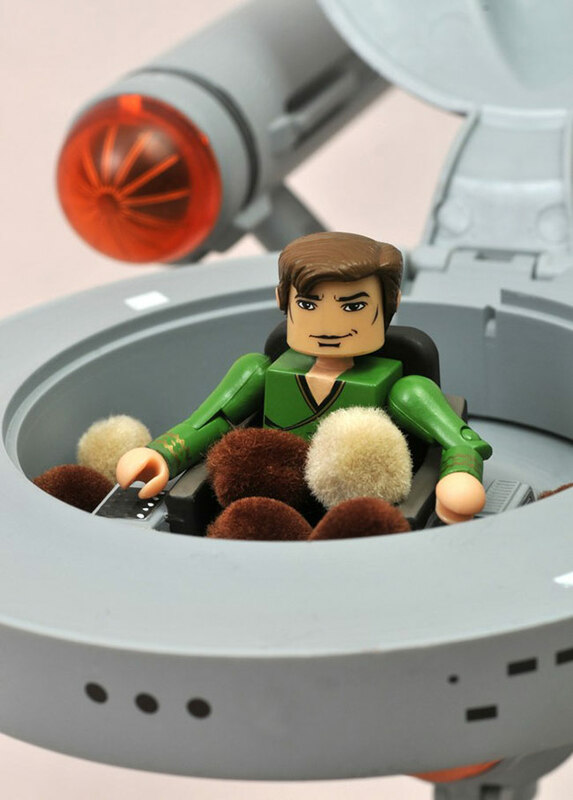 Introducing the Tribble species to the Star Trek universe, the classic 1967 episode remains one of the most referenced and revisited of the original series, which is why Diamond Select Toys decided to pay tribute to the episode with their newest Star Trek Minimates exclusive! 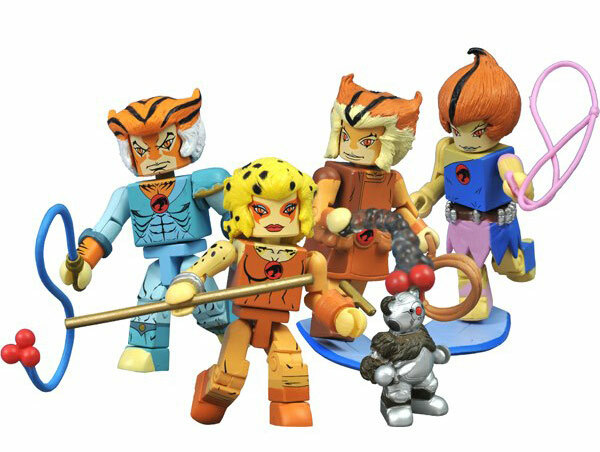 New Thundercats Minimates Have Landed! Series 3 is In Stock at AFX! March 2013 - ThunderCats fans have been lapping up Icon Heroes' new ThunderCats products like a kitten lapping up milk, and now the company has released a third set in their popular ThunderCats Minimates line. 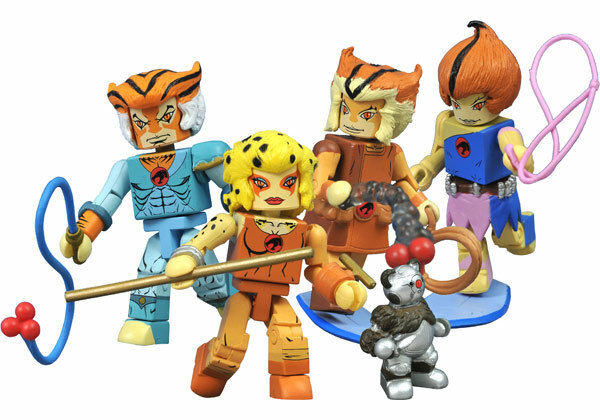 Produced in conjunction with Diamond Select Toys and Art Asylum, the Series 3 box set rounds out the main band of Thunderan refugees, with Minimates of Tigra, Cheetara, Wilykit and Wilykat, as well as a mini-figure of RoBear Bill. 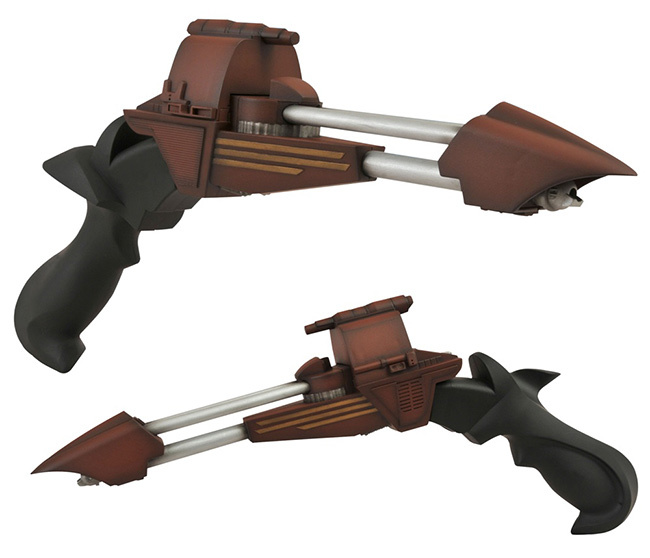 Klingon Disruptor Gets New Packaged Pics, Demo Video and Exclusive Variant! February 25, 2013 - Is Diamond Select Toys defecting to the Klingon Empire? First they gave Star Trek fans two insanely detailed Klingon Bird of Prey electronic ships, now it's two electronic replicas of the Klingon disruptor! 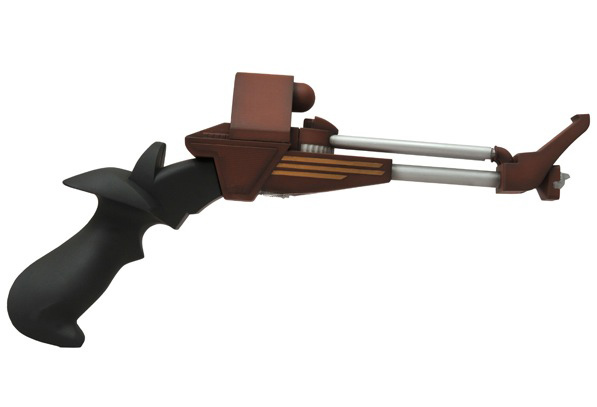 With three different settings, the thumb trigger can activate single shot, rapid-fire and "disintegrate" sound effects, with a flickering red LED at the muzzle. 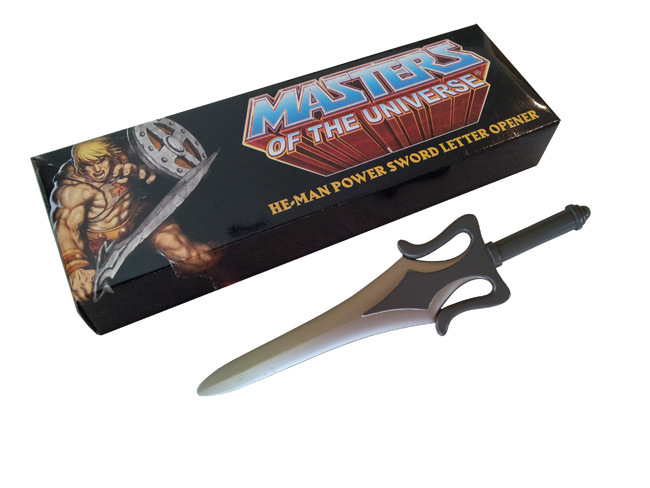 The standard model is based on the weapon's appearance in Star Trek: The Next Generation, but Action Figure Xpress will have an exclusive Star Trek III version of Commander Kruge's weapon of choice! Check out the packaging and the demonstration videos below! A Variant on the Klingon Bird of Prey Ship De-Cloaks! 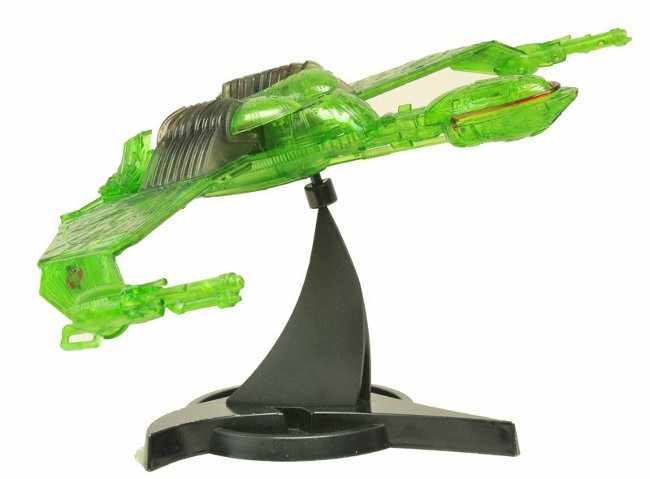 February 2013 - When Diamond Select began developing the first alien ship in their electronic Star Trek ship series, they knew that they couldn't just make one version of the iconic Klingon Bird of Prey. The ship has such a rich film history that to pick just one appearance would be an affront to its honor! So while the Star Trek VI version of the Bird of Prey is out in stores now, DST has created a special Star Trek III version exclusively for Action Figure Xpress! 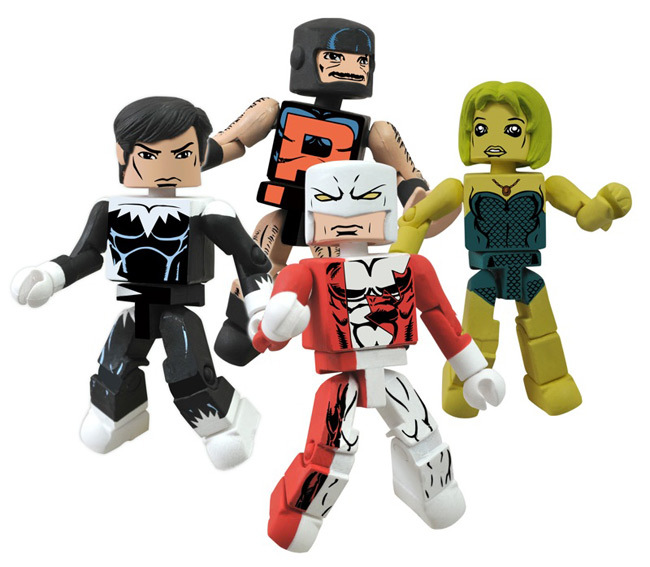 Thundercats and Alpha Flight Join this Year's Exclusive Minimates at SDCC! July 6, 2012 - Next week's Comic-Con International in San Diego just got two more awesome Minimates exclusives! 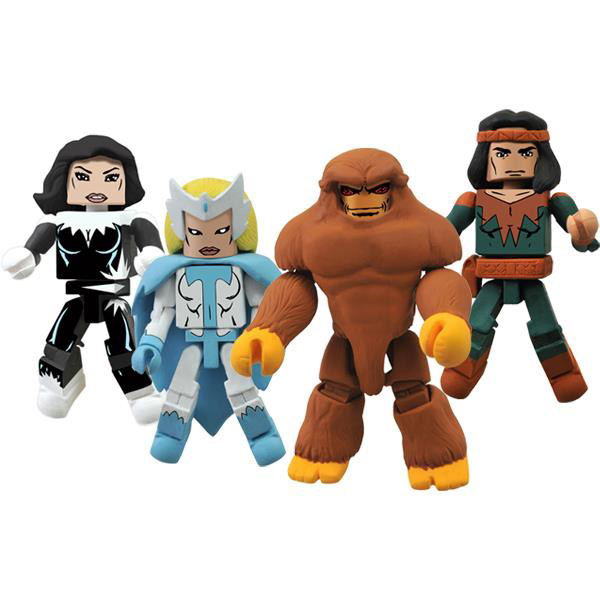 Only available at the Action Figure Xpress booth (#3345), two all-new four-packs will make their debut at the show, one from the long-running Marvel Minimates series, and one from the brand-new Thundercats line! (HONOLULU, HI) - (July 7, 2012) - For this year's SDCC, AFX is proud to debut something perfect for those wanting to bring together their love of comics and music - the Peavey McFarlane Spider-Man Rockmaster Electric Guitar, featuring Spider-Man #1 artwork from comics legend Todd McFarlane. This San Diego Comic Con Exclusive Guitar is only available from the Action Figure Xpress SDCC booth (#3345), and is limited to only 100 numbered pieces worldwide. The Rockmaster Guitar is a full-size electric guitar with a high-gloss finish on a basswood body which provides excellent balance and tone. The maple neck and rosewood fretboard enable fast rhythm and lead playing. Each guitar comes with a strap and amplifier cord and is priced at $275.